Today is the second anniversary of the podcast. For two straight years I have recorded 365 original podcasts a year. What drives me? The fact that baseball has never let me down nor has stopped giving me thrills. 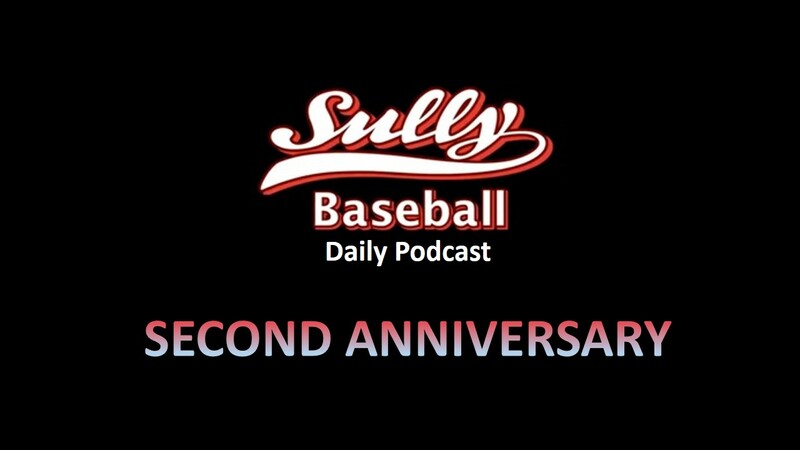 It is an anniversary celebration episode of The Sully Baseball Daily Podcast. This entry was posted in Boston Red Sox, St. Louis Cardinals, Sully Baseball Daily Podcast and tagged 1979 World Series, 2014 Kansas City Royals, 2014 San Francisco Giants, 2014 World series, Butch Hobson, Kansas City Royals, Paul francis sullivan, San Francisco Giants, Tim Hudson. Bookmark the permalink.